Privacy is important and is taken seriously on Rock-n-Swing.com. Rock-n-Swing.com will never give away or sell personal information to third parties. Is being shown in the user's profile as well as Portraits created or joined by the user. Is nowhere shown and used to personalize the experience on Rock-n-Swing.com. With standard settings is shown nowhere on Rock-n-Swing.com. Needed for age verification upon registering as well as for birthday wishes. Upon usage of Facebook-Login the date of birth is not required. Shown in the user's profile, the profile picture and Portraits created or joined by the user, in the form of a country flag. Nowhere shown on Rock-n-Swing.com except for the personal settings (only visible to the respective user). Used to send informative eMails by Rock-n-Swing.com (e.g. to renew a forgotten password or to inform the user about activities in their own Portraits). Such eMails may be unsubscribed any time. Upon registration the user chooses a password which is stored encrypted in the Rock-n-Swing.com database. Not even the page administrators are able to see the decrypted password. Rock-n-Swing.com offers the possibility to register via Facebook-Login. An additional registration is therefore not necessary. In order to register the user is redirected to Facebook and asked to log in with their eMail-address and password used on Facebook. By doing so the user's Facebook profile is linked to their Rock-n-Swing.com profile. We emphasize that upon usage of the Facebook-Login data is automatically transferred to the Facebook servers that are out of Rock-n-Swing.com's control. Further information about the Facebook-Login and the privacy settings can be taken from the Data Policy and the Legal terms of Facebook Inc. By using the Facebook-Login the user agrees that data from Facebook is stored in our database and subsequently used by Rock-n-Swing.com. This concerns the following information. Your Facebook User number, your full name and your gender will be transferred to the Rock-n-Swing.com database upon registration. For unique identification the eMail-address in your Facebook account is required and upon first registration transferred to the Rock-n-Swing.com database. Should the user wish to delete their Rock-n-Swing.com account some time in the future the user has to choose a password upon the first usage of the Facebook-Login which will be stored encrypted in the Rock-n-Swing.com database. The password is not required for later Logins via the Facebook-Button. The user is free to use their eMail-address and password instead of the Facebook-Login. In case a Rock-n-Swing.com account already exists when Facebook-Login is used for the first time, the eMail address stored with the user's Facebook account is compared to the Rock-n-Swing.com database in order to link both accounts. Should the user have used different eMail-addresses to log in on Facebook and Rock-n-Swing.com, respectively, the eMail-address and the password of the existing Rock-n-Swing.com account are required. In both cases nothing except for the Facebook user ID is transferred to our database. Should you sign-up for the Rock-n-Swing.com Newsletter only, your eMail-adress will be transfered to the Database of Rock-n-Swing.com. Also a setting concerning the preferred language, in which the Newsletter is to be received, will be stored. 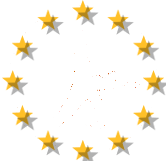 Rock-n-Swing.com allows their users to create couple, formation, club and association portraits, as well as the creation of partnersearches, in the following called Portraits for brevity. Portraits are generally publically visible, i.e. in order to call up a portrait registration on Rock-n-Swing.com is not necessary. The creation of a portrait is voluntary. Which information are provided within a portrait is up to the creator and possibly further portrait administrators. Information provided in any user-created portrait will not be encrypted in the Rock-n-Swing.com database. Registered Users, who create a Portraits, are usually set as the Administrator of this Portrait. Administratoren have the right to edit their portrait or add further information at any time. Rock-n-Swing.com offers Administrators the possibility to make portraits invisible. Does the user choose to do so, the portrait can be seen by their creator and the administrators only. Note, that the portrait will continue to be listed in overviews but cannot be opened. Guests (not-registered Users) can create some basic Portraits. Such a Portrait can neither be edited nor be completed with further information by its Creator. To gain full control over this Portrait a registration on Rock-n-Swing.com and the the takeover of ones own Portrait as an Administrator is required. Portraits created by Guests can be adopted by registered Rock-n-Swing.com-Users as Administrators. The deletion of a Portraits is reserved for registered Users with Administrator-Rights for the to-be-deleted Portrait. As a Guest (not-registered User) a once created Portrait can not be deleted, unless a later Registration and a takeover of the to-be-deleted Portrait takes place afterwards. Upon deletion of a Rock-n-Swing.com account, all personal information given during the registration process will be deleted permanently. User-created or adminstered Portraits will not be deleted, including all provided information (like texts, information and pictures), unless these portraits are deleted manually before account deletion. Either the Portrait becomes orphaned (i.e. it stays without an administrator, e.g. if there are no further users administering the Portrait) and it can be taken over by another user for administration purposes, or the right to administer the Portrait will be inherited by an existing user. User-created Partnersearches will be deleted. Published articles will not be deleted. The users name will be removed though and "Deleted user" will be shown instead. User-created posts in in commentary fields stay intact, in order to keep the post history intact after account deletion. The users name will be removed though and "Deleted user" will be shown instead. In case the user's Facebook profile is linked with their Rock-n-Swing.com account, the user is asked to withdraw the rights of the app which is part of Rock-n-Swing.com on the Facebook-Apps page manually.